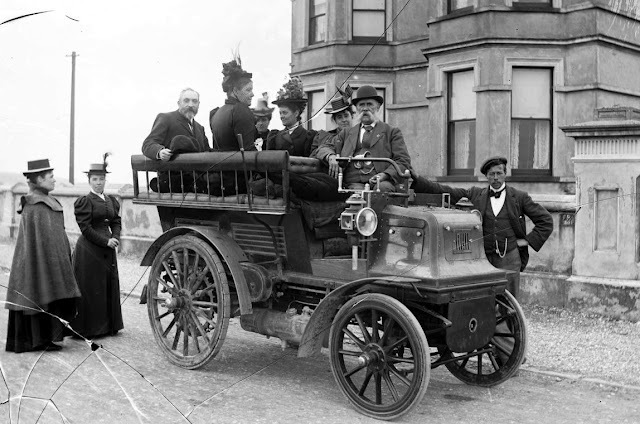 1898 Daimler (British) wagonette. A quick Google image search shows there are several survivors. It will have the 6 hp narrow angle Phoenix V twin engine and probably has hot tube ignition. Thanks! Are you out there on the internet waiting for me to post some odd unusual old thing that I can't identify?